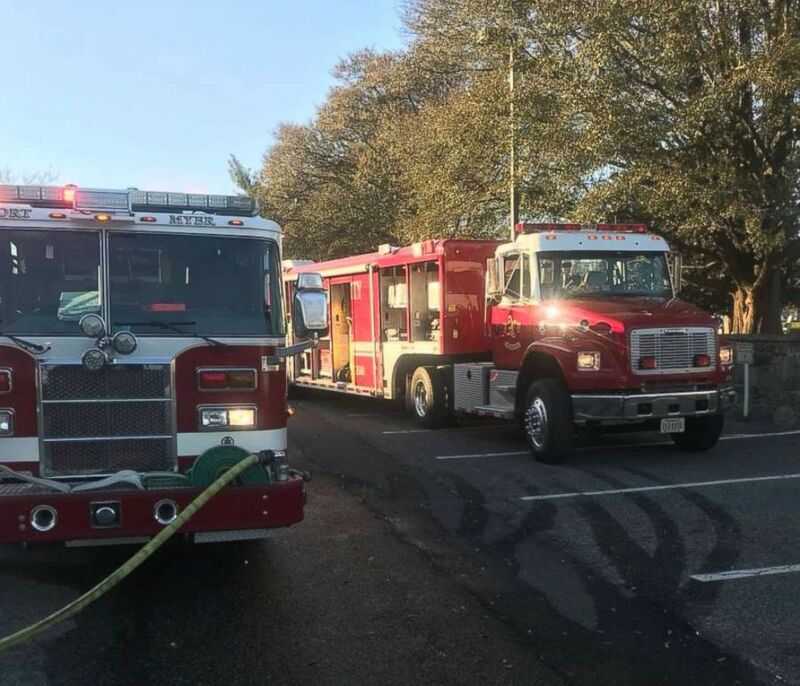 The FBI and NCIS are investigating a hazmat incident Tuesday at Joint Base Myer-Henderson Hall next to Arlington National Cemetery and close to the Pentagon. The FBI and the Naval Criminal Investigative Service were called in, a Marine official said, after 11 Marines were affected by an unknown substance found when an envelope was opened. Local fire department hazmat teams responded to the scene within minutes. A hazmat investigation in underway at Myer-Henderson Hall in Arlington, Va., Feb. 27, 2018. Three Marines were transported for treatment with non-life threatening conditions, the official said, and eight others who had symptoms ranging from itching to nasal irritation were being assessed. After the envelope containing the unknown substance was opened at Joint Base Myer-Henderson Hall, the official said, personnel in the building immediately evacuated the building. The FBI was taking the envelope and suspicious substance to its Quantico lab for testing, a law enforcement said. Joint Base Myer-Henderson Hall is the name for the Army and Marine base commonly-known as Fort Myer, home to the Old Guard honor guard unit, and Henderson Hall, where Marines are stationed.